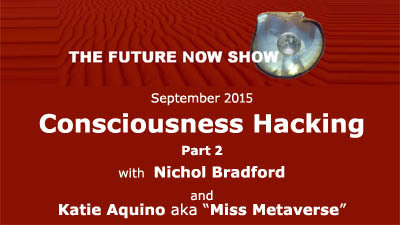 Watch the new edition of The Future Now Show with Nichol Bradford and Katie Aquino about Consciousness Hacking Part 2! Do we really comprehend sustainability? .yDo we really comprehend sustainability? We are sustainable is one of the current trendy phrases that can be heard in many prominent places from the halls of United Nations to the boardroom of Fortune 500. It seems that almost everyone from office workers to billionaires is talking about sustainability. Many piled on the bandwagon of sustainability or sustainable development, but what do they really know about sustainability? The United Nations just introduced the sustainable development goals (SDG) dealing with poverty, hunger, health, environment, etc. This sounds very optimistic, but all these targets might just remain ideas on paper without really understanding the essence of sustainability and relentless efforts to make it a reality. Lets be clear about one thing -when we talk about sustainability we refer to self-preservation of humanity. The planet we live on did just fine for over four and half billions years without us and it will likely continue for another few billions long after we are gone. Thus, the emphasis should be not on Earth itself, but rather on preserving and improving it as our habitat in order to improve our well-being and secure our continuity as a species. In other words, sustainability should be an answer to the question: How do we, survive in the rapidly changing environment resulting from the uncontrollable consequences of our technological advances. One of the many misconceptions of sustainability involves clichés such as saving polar bears, preserving indigenous cultures, or occasionally helping people living in slums. Many corporations exploit these distorted perceptions as a marketing opportunity by creating programs around what used be called corporate social responsibility. When you visit some CEOs office, they would be proud to show you a glossy high-resolution book of their employees smiling with underprivileged kids in developing country. It would be interesting to find out what is really involved in these projects after the photo-op is over. Sometimes, these enterprises are even incorporated into their corporate missions. This serves as an ethical veneer conveying a message of being a responsible global citizen. A skeptic would say, perhaps correctly, that impoverished individuals are being exploited as merely props and backdrops. This kind of practices is a perversion of the notion of sustainability. In order to have a serious conversation about sustainability and find solutions, we must consider it in the context of saving human race as well as other forms of life with which we share our evolutionary journey. In essence: sustainability is not about preserving the Earth, it is about ensuring our survival on it. Naturally, our concern must not be limited to our own species; we need a habitat that includes animals, plants and a planet to survive and thrive. Thus, we are facing a fundamental question: What do we care about when we talk about sustainability? We should be honest with ourselves and simply admit that in order to survive as a human race, we must do everything to save the environment we live in for the sake of us. This is not about global warming or climate change. It is about destroying our own future and letting it happen. We are getting used to dying species and trees, massive scale deforestation, and billions living in their own waste at the bottom of food chain while well-to-do people are enjoying hyper consumption. This brings us back to the issue: How did we emerge as a consumption-based society? 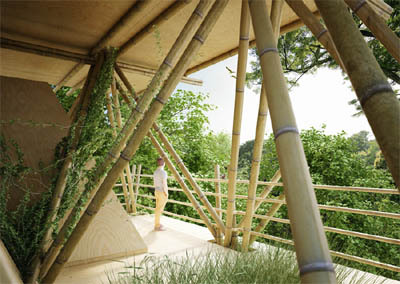 For decades we have engaged in making things without deeper reflection on how all materials will cycle back to nature. This core problem poses a serious existential threat to many species, and ultimately to us. Sadly, most notable politicians are too concerned with catering to their own constituencies rather than becoming visionary leaders willing to tackle the problem. Less than 30 % of global population consumes too much, produces too much, buys too much, and eat too much compare to the majority. This is a bad modus operandi that cannot sustain and eventually will bring everyone down. If we are looking at the next epic crisis, this is the perfect storm. And yet the problem is not taken seriously. Keeping this in mind, how should we address the issue of sustainability? It is imperative that we change how we make, eat, grow, consume and discard things. We have to become truly sustainable, meaning we have to engage in a continuing process of refining and extending the life cycle of products, services, or environment to stimulate social and economic growth without depleting resources. This requires a great deal of creativity at the very stage of designing -thinking about how things we make could be reintegrated or reclaimed back to resources they came from. Lets create new economic opportunities around these new processes before it is too late. As our consumption base increases this pending crisis will accelerate. The sooner we understand the damage we are doing to our future, the better chance we have to turn the environmental crisis around before it gets to the point of no return, provided we are not there already. Hume once famously wrote: The life of man is of no greater importance to the universe than that of an oyster. The world is not sensitive to our needs - things will be rolling on just the same way they did before we arrived and they will continue after our departure without anybody to enjoy it, to explore it, to inquire about it. We are alone responsible for securing our own survival and the survival of other species we share this planet with. Following on from the previous show on consciousness hacking, this show discusses transformative technology, and the lab of the same name. The labs mission is improving well-being but the potential toolkit is the same. Getting hands-on with the brain is a hot area, with advances in imaging making this a more exact, if still nascent, science. 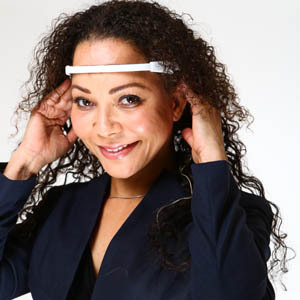 A surprising number of applications are already out there, from game-based tools to (neuro-)feedback devices to devices that directly influence the brain through direct or indirect electric or magnetic stimulation. Some will no doubt find such things disturbing but the story here is the lab, the community and their vision of a happier us. In this essay, two futurists from different backgrounds, gender and status who only met online will tell two separate stories of the world set in the year 2115. The authors draw on both factual information and imagination to craft the narratives. Each of the stories addresses global challenges to the future of human survival. The stories are expressions of serious problems of the current and future world told in an amusing yet useful way. This essay is a creative expression of personal images of the future set in 2115. Two futurists, who have only met online, explore possible futures for humanity in the next one hundred years. Each of the authors approach the project from different worldviews: East/West, Male/Female, Student/Teacher. The time horizon of one hundred years is the only common thread, aside from an agreed-upon checklist of global challenges, but otherwise there has been no collaborative effort to tell the stories. The project's primary purpose is to allow those who teach and study foresight to capture and reflect on creatively-generated personal future scenarios. In this essay, storytelling is the only purpose. This purpose is seen as opposed to the typical futures project that aims to synthesize hours of research and mountains of reference material. We hope to show that individuals who are well-versed in material and information about the future (i.e., students and teachers of futures studies/foresight) can tell valuable stories about the future by allowing creativity to lead the way. .and think how hard life must have been back in the days before so many of the common diseases were cured. Skimming through the long history, a detail jumped out that she never recalled seeing before: she was a descendent of General Sam Houston! The famous name took her back to being a schoolgirl in Texas, learning about General Houston, a historical figure well-known in the 1800's and closely associated with Texans' famous freedom. She ironically noted how her home was no longer Texas, but instead the New Texas Settlements. Texans had been driven out of state (north, of all places) by the unlivable conditions, not free will. What would Sam Houston say about that? Leaving was not her preference, but there was little choice at the time given the pressing climate and economic conditions. Drought and unbearable UV exposures pushed her young family out of the region more than fifty years ago, in 2060. When she left she had no idea that she was severing a long link to Texas history. The oil industry had collapsed, and that was it. The end of a chapter in history.
. The protesters ended up in jails, separated from their loved ones and tried as ecological criminals. It wasn't worth risking her family to fight, but it certainly created a revolution inside of her that made her feel that she had betrayed her past. This new finding brought the feelings back and many memories of what it was like before 2050, before the crisis, began to surface. There were many obvious reasons for the pain and loss leaving her homeland had brought her, including the fact that she grew up there-now she became awash in sentimentality. Alma suddenly sensed her digital memories image albums in her Personal Optical Implant orienting to view the past as it was emotionally being called up in her mind. She remembered the old Tejano music her mother used to listen to while driving (back then they drove around in cars all the time). The music was now called up, too, overloading her senses with memories. She switched off her artificial senses and manually recalled the large family SUV navigating through the sprawling city streets and tears came to her eyes, knowing that was a way of life that was never coming back. did her mom have any clue about their famous family tree? Next time she was visiting with her mother through the Super-Conscious Communication Device she would be sure to ask. (Her mother had had a stroke in 2062, but like most of her generation, still converses with family members from a suspended vegetation state using an implant that detects linguistic patterns in active brain waves.) Good thing life-extensions were easy to use and obtain now. It was once prohibitively expensive to live so long, but now, "Death: It's Optional,"
at least according to the popular advertisements. So she knew she would probably be around for a long time to share this news with her children, if they should ask. Not that there is any reason to ask, since a person is in no way the most valid or desirable source of information in 2115. Computer brains are much more reliable. Still, Alma wanted to have an explanation ready for future generations. A chronology began forming in her mind, and she allowed her mind recorder to begin archiving the thoughts. The memories she recalled first were from the early 2020's, the time of her girlhood in Texas, where big oil was extracting the remaining shreds of petroleum prosperity. Fossil fuels were having their last big economic boom. The industry was healthy, paying her father a generous white-collar salary at one of the big companies headquartered in Texas. They lived in a spacious house when she was small, with more than enough bedrooms and lots of air conditioning. There were sincere gestures to be more "green" back then-water conserving lawn-watering schedules and recycling bins were sacred to the modern families in their plush neighborhood. Little did they know that the small efforts would add up to almost nothing to save the state from the ecological crisis when it hit in 2050. The modern world was thriving technologically, but income inequality was starting to become a noticeable source of social instability. The standard of living managed to rise across the board, nonetheless. Wealth rose, but the low-income majority did not increase their share. So poor people were more poor in every country, while the already well-off became rich, the rich became super wealthy, and so forth. This meant that distinct pockets in developed countries were feeling more like developing nations, although at the same time developing societies as a whole were substantially better off than they were twenty years prior. Internet and communications technologies became a strong force for education and job preparation across the developing world. Women's rights were continuing to spread and gain strength. The formerly struggling parts of the world were starting to catch up to first world standards by 2020. However, all the growth and technology came at a price. There were negative effects on environment and health emanating from all the world's nations and suddenly. The ones who noticed began to organize, but they were the minority. Needless to say, human activities continued on this path because the short-term benefits (well-paid jobs, financial security, cheap technology and energy) were too good to pass up. In 2115, students are taught of this as the "Golden Kamikaze" era of world history before the crisis: an expensive suicide that all nations of the world brought on together. Sensitive people in the world became more attuned to the downfall of large-scale growth that idolized capitalism, wealth and speed at any cost. Technology illness began to appear in forms of psychological, neurological and chemical problems in the human population. Negative health effects from profuse wifi exposure were easily dismissed since the 2020s, but the evidence was starting to support fringe beliefs about the danger of wireless signals. It wasn't just wireless, but the byproducts of a globe hooked on technology became increasingly toxic. The poisons used to make the gadgets, and their waste products, were becoming too much for the earth to bear. Not just that, but there was more illness related to manufacturing spots. Soon, it was seen as a death sentence to work in a high-tech factory job. Or to live near one. Attitudes were changing. The illnesses were made worse by the loss of antibiotic medicine. The new diseases required new medicines, but the accompanying infections of lungs, eyes, ears, skin were the same old biology. Except the human population had become so dependent on antibacterial soaps and antibiotic drugs that they no longer worked well, and these formerly simple threats were becoming as dangerous as the diseases themselves. By the 2030's the symptoms could no longer be ignored: the world was out of balance and human survival was perilous. This new reality resulted in a curious group of young scientists to form a new research consortium to explore solutions for the "post-antibiotic" world. They would later become the medical branch of the New Science movement, which eventually developed the life-extending technologies and made death optional. Climate change was becoming so severe that seasons were unknown to most born after 2025 and weather patterns could shift suddenly. Energy costs were low, but water systems began to fail, and poisoned water sources created distress and displacement-the ecological refugee was a common issue in almost every nation that had used natural gas fracking at the start of the century. After enough damage, the practice was stopped. The cost to society was too high. For instance, most people began to use clothing to protect them from the elements in more practical ways, and fashion became much less relevant with the blanket of pessimism that couldn't be kicked. No one seemed sad that a way of life was dying, just eager to get past the pains and start again. Fossil fuels officially crashed in the early 2040s. Policy devised by the high tech New Science artificial intelligence raised the stakes to the point that it became prohibitively expensive for private companies to extract nonrenewable natural resources; the costs to cover environmental risks, costs of ecological displacement of people, taxes to pay for illnesses to future generations, and stiff penalties for accidents and damages-all these costs were passed on to the oil companies, whose business model had become unprofitable and unpopular. The last oil company closed their doors in this decade, while green energy thrived to take its place. The benefits of a healthy environment were quickly revealed. The New Science was at the forefront of this contemporary understanding of the human species as networked to nature in ways that prior generations of scientists didn't see. There was a strong and clear connection between social organization for subsistence and ecosystems of the planet than previously known, and it was now common sense to know that symptoms of suffering or distortion in the other natural systems were sources feeding distress to the human settlements. Most people now agreed on two things: that 2050 was the crisis point, and that a change had to come. A self-destructive way of life had given way to harmony between man and nature. The New Science AI was effective at revealing the link of human to ecosystem, and showing how if parts are healed, the whole gets better. The AI was high technology enhanced with human and organic elements. It was just as "natural" as a person, since its biological origins were human, but used decision making sciences with complicated formulas and calculations beyond human comprehension. It could not just learn, but also teach. It could also replicate itself, but was not predatory. It was a smart AI, actually smarter than humans, because it inherently understood the threats posed by its own existence, and had safeguards to protect life at all costs. It had memories, so that the next generation was always even brighter than the last, building on knowledge from the past. This aspect fed into later New Science theories popularized in the 2090's, and explored the role of consciousness in the genetic and biological material that is passed from one generation to the next. This thinking arrived just in time, still at the fringes, but penetrating the mainstream culture with a positive worldview that would allow us to survive the crisis of 2050.
to decide to seem to go against its own nature, for nature. Societies had to learn how to accept facts that before seemed to threaten their survival. The weaker societies were absorbed by those that had already a predisposition to sustainable long-term decision-making. This meant capitalism was eliminated, because of many layers of danger to stability and sustainability (social, environmental and economic) that it inherently threatened. It was a non-violent shift. Violence was seen as counterproductive, though plenty of hatred still existed. The New Science AI took over for political or cultural systems of controlling social unrest, which meant that the government no longer guided policy directions, much less determined individuals' innocence, guilt or good or bad citizenship. Technology replaced the human errors of decision-making. Surveillance became thoroughly implemented for survival on the weak (but reviving) planet. People didn't really choose much of anything for themselves anymore, instead data and evidence were the basis for most decisions. It was completely unlike the lifestyle she grew up with, where individuality and freedom were valued most. Now, a utilitarian world view took control dictated by artificial intelligence, so that humans were unable to make the bad choices that had brought on the crisis. but this was just wishful thinking. Now there was just the future. Carel Jacobs is senior consultant/trainer for itim in The Netherlands, he is also Certification Agent for the Educational Sector of the Hofstede Centre. by Christophe Pelletier, The Happy Future Group Consulting Ltd.
... and many more contributions. "We are pleased to present the eleventh annual Fragile States Index. The FSI focuses on the indicators of risk and is based on thousands of articles and reports that are processed by our CAST Software from electronically available sources. We encourage others to utilize the Fragile States Index to develop ideas for promoting greater stability worldwide. We hope the Index will spur conversations, encourage debate, and most of all help guide strategies for sustainable security." yet sufficiently explicative to embrace the idea of a major project that marries tradition and innovation, art and technology,and which justifies the founding of a Museum. Castelbosco, Gianantonio Locatellis farm, is a place of interest, innovation and research, and an experience to be shared: a Museum. 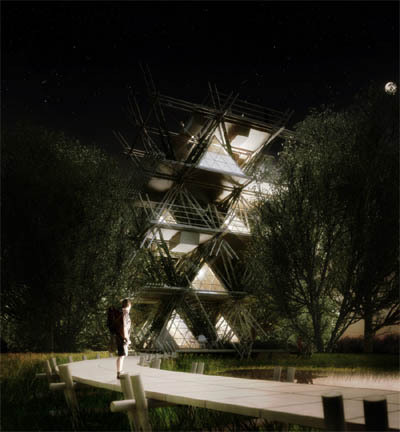 Locatellis intuition of reusing the organic waste from his own farm to produce methane, as well as material for bricks and plaster, led to the implementation of a cutting-edge ecological project. The idea of reuse has always gone hand in hand with the agricultural world. In this case, it is manure which is transformed into other elements, thus producing innovation. Here, poop is precious, for it is the basis nourishing information and cultural enrichment, as well as being the main theme and substance from which the Museum takes its name. A new idea of a Museum thus comes about in which scientific research, technology, art and production join forces to stimulate interest at various levels: Castelbosco constitutes a stimulating place for all those interested in the farming of food crops, history, art or issues connected to ecology. The Museum starts from the outside, on the farm itself, and it is here that the value of the project is reflected in the interventions of artists such as David Tremlett and Anne & Patrick Poirier. These works coordinate the space, stimulate reflections and amplify the conceptual, metaphorical and productive vision which lies at the heart of the Castelbosco farm. Responding to sounds harvested from YBCAs interior space and the Yerba Buena Garden and nearby city street noise, this site-specific artwork activates the south facing glass façade of the Grand Lobby with playful patterns of light reminiscent of a swarm of flying birds. During the day, filtered sunlight produces ever-changing flickers of light and shadow, while in the evening the façade is transformed into a dynamic electro-luminescent composition that electrifies the glass wall. Sound sensing spiders, attached directly to individual glass panels in the Grand Lobby, transform the facade into what the artists call urban sensors .-instruments to sense the city, visualize its auditory pulse, and amplify its latent energies into cascades of light. Real-time data collected from these audio sensors drive the direction and color of the swarming algorithm, which generates patterns of streaming light. The result is an artificially intelligent façade: a smart surface that can sense, compute, respond, and interact with its surroundings. Lightswarms unique suspended light modules individually change their intensity and color. Each module was created from 3D printed components, custom electronic elements, addressable LED strips, and laser-cut skins made out of recyclable PET plastic and synthetic paper. This work is an exemplary display of Future Cities Labs interest in liminal spaces and location, as the glass wall allows for multiple views and perspectives on this ever-changing installation. For McDonough and Braungart, the questions of resource scarcity and sustainability are questions of design. They are practical-minded visionaries: They envision beneficial designs of products, buildings, and business practices - and they show us these ideas being put to use around the world as everyday objects like chairs, cars, and factories are being reimagined not just to sustain life on the planet but to grow it. It is an eye-opening, inspiring tour of our green future as it unfolds in front of us. The Upcycle is as ambitious as such classics as Rachel Carson's Silent Spring - but its mission is very different. McDonough and Braungart want to turn on its head our very understanding of the human role on earth: Instead of protecting the planet from human impact, why not redesign our activity to improve the environment? We can have a beneficial, sustainable footprint. Abundance for all. The goal is within our reach. 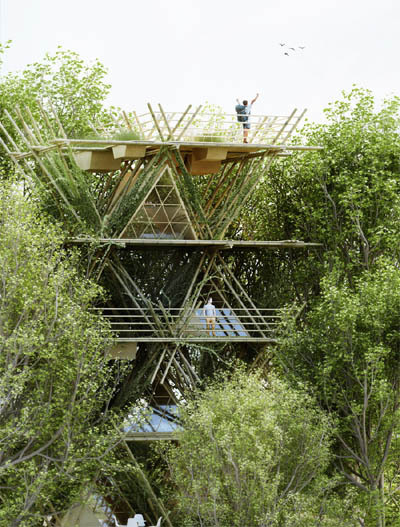 Penda is a fresh and motivated team of international creatives based in Beijing and Vienna. 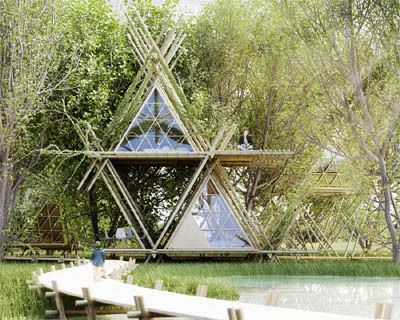 In 2013, Chris Precht and Dayong Sun founded penda with the belief that architecture serves as a bridge to connect nature, culture and people to strive for a better quality of living. Alex Steffen (born c. 1968) is an American futurist who writes and speaks about sustainability and the future of the planet. His 2012 book Carbon Zero: Imagining cities that can save the planet is an exploration of the kinds of design, technological and policy innovations that can transform our cities into low-carbon engines of prosperity. 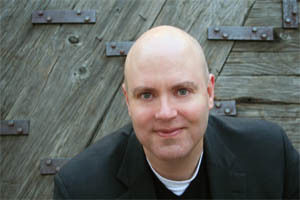 From 2003  2010, he ran the pioneering sustainability and social innovation project Worldchanging.com, and edited two best-selling Worldchanging books. Before that, he worked for almost a decade in newspapers and radio, covering planetary change on four continents. Alex lives in the San Francisco Bay Area. Watch The Future Now Show! Please visit the agenda for news and updates! Copyright © 2002-2015, Club of Amsterdam. All rights reserved.